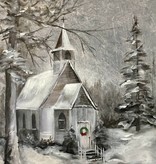 Looking for a different activity to do together to kick off the Christmas Season? Then ditch the screens and come out for a morning that all will enjoy. Grab a family member, or a friend and enjoy time together doing something different, artsy and fun. 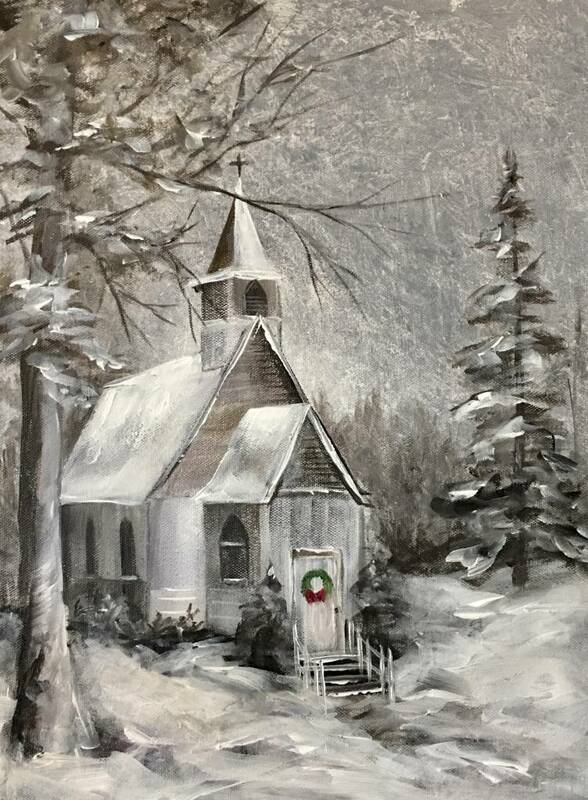 Learn how to paint this beautiful church set in the snowy woods. We will teach you step by step to create a beautiful masterpiece that you will be proud to display. This class is great for all ages.